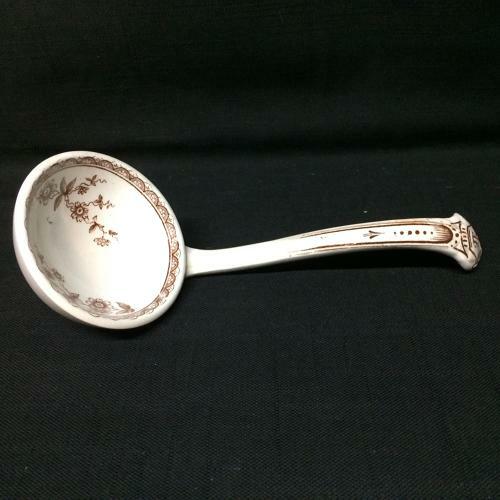 This excellent Victorian aesthetic ladle is transfer printed in brown. It measures a 7 3/4 inches long. The dipping well is 3 inches in diameter. Passion Flowers.